You will need Node 8.9+ and the Vue CLI installed on your machine. In this tutorial, we’ll use the new Vue CLI to scaffold our project. It is such a great tool that enhances the developer productivity. Head over to your terminal and type this command to create your project: vue create your-project-name. Feel free to name your project as you want 🙃 . You will be prompted to pick a preset. You can either choose the default preset which comes with a basic Babel + ESLint setup, or select "Manually select features" to pick the features you need. For the sake of the tutorial, we’ll choose the default preset as it best fits our needs. 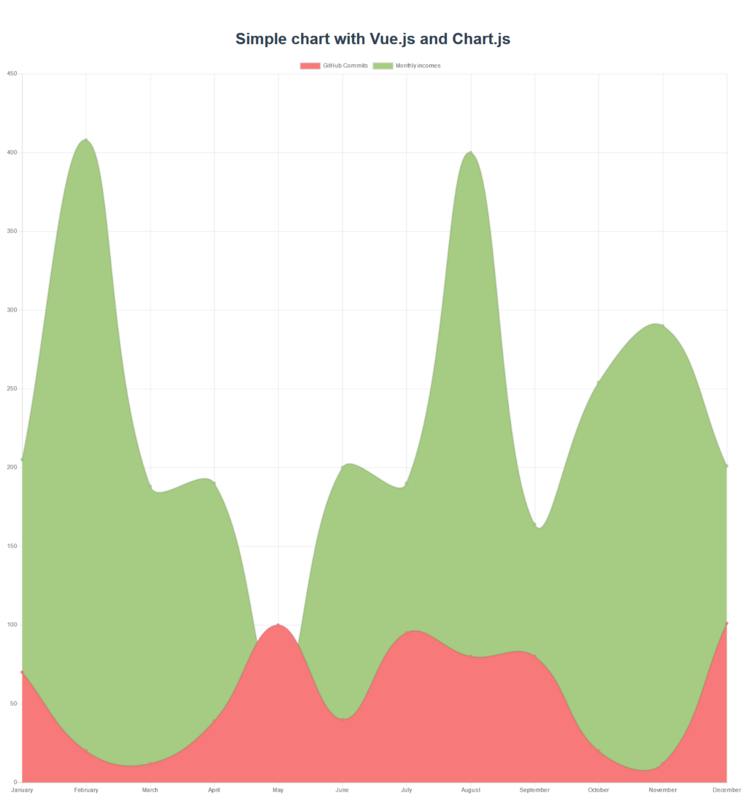 These mixins automatically create chartData as a prop or data and add a watcher. If data has changed, the chart will update. You can find more here. In this component, we import our Chart.js file; the chart-data property of our chart component permits us to provide it with some data to render in the form of a chart.The datacollection object is populated with some mock data within the fillData method, and as soon as the component is mounted we execute it. It’s that simple 🙃 . I hope this tutorial has been useful to you and you’ll make use the knowledge you’ve acquired in an awesome app of yours. Feel free to grab the source code of the app here.